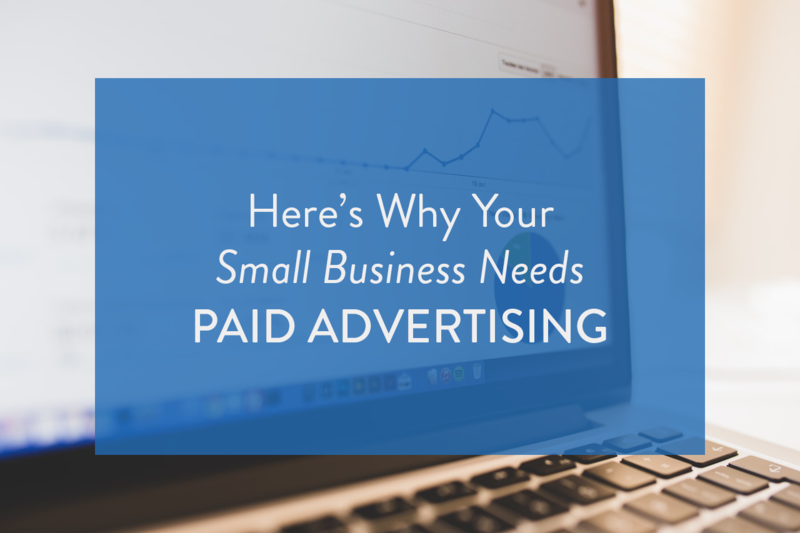 Small business owners often dismiss paid advertising as something they should focus on way, way, way down the line. It’s sacrificed in the name of saving time or saving money. But putting even a little bit of cash towards paid advertising can go a long way towards generating business and growing your customer base. Beyond revenue, it has a positive impact on the perception of your company and brand awareness. 1. Paid Advertising Reaches Your Customers Where They Are. According to a 2014 study, 81 percent of shoppers do online research before making a purchasing decision, and 60 percent start with a search engine. The path of least resistance is to advertise where they are. Newspaper ads are as good as dead. Digital marketing is the new way to get the word out there about your small business. Pay-per-click (PPC) advertisements, like those placed in Google’s search network, let you present your company as the answer to a consumer’s search. For instance, if we type “video agency st. louis” into Google, The Storyteller Studios is the top result for the sponsored posts. While many companies advertise on Google to reach the widest audience possible, you can also opt to advertise through other networks as well. If you know that your key demographic uses Facebook often, you can use Facebook Ads to promote your product where your prospective customers spend most of their time. 2. Paid Advertising Increases Your Company’s Prestige and Credibility. In the long term, a quality product or service will cement your company’s reputation. In the short term, there’s a “fake it til you make it” component to boosting your business’s perception in the eyes of prospective customers. When people see an advertisement for a company (especially a good ad) they instinctively assume that business has money. And if they think a business has money they assume it’s doing well, which means there are other customers. It’s a subtle way of creating social proof. 3. You Can Target Your Ads Extremely Well. Sites like Facebook and Google have access to a lot of data. This means that they have the ability to put your ads in front of the right prospects. Google won’t show an ad for new tires to someone who’s looking for spas in the area. And Facebook knows better than to show an ad for life insurance to someone whose profile says they’re a 20-year-old university student. Not only do these companies have the data to properly place your ads – they also have an incentive to. You want people to click your ad, and so do they. Since you pay-per-click, they want to make sure people are actually clicking. Additionally, they want to make sure the people who click the ads are people who are most likely to make a purchase. You’re only going to keep advertising through them if you see a return on investment. If you don’t have an extensive amount of customer data, paid advertising can use your existing criteria (i.e. age, location) to target prospective buyers. 4. You Have Access To Powerful Monitoring and Analytics Tools. Google’s AdWords and Facebook’s Ads Manager allow you to measure results and see how individual campaigns are doing. You can view demographic information on the types of people viewing your ads and use that data to more accurately target prospects in the future. You can view the devices people are using most frequently when they interact with your ad, see what time of the week or month your ads get the most response, and even customize your account to display only the metrics you’re interested in. When you’re a small business owner, you don’t have time to dedicate to monitoring and generating reports, and you probably don’t have the budget to hire a social media coordinator. Lucky for you, paid advertising tools give you access to powerful resources that help you to make insightful business decisions.